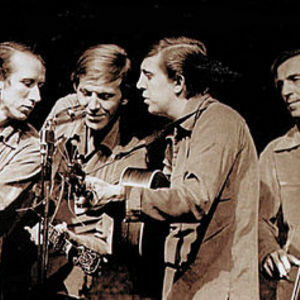 The Dillards were an American bluegrass band from Salem, Missouri, consisting of Douglas Dillard (banjo), Rodney Dillard (guitar, dobro), Dean Webb (mandolin), and Mitch Jayne (double bass). Other members of the band have included Dewey Martin (drums), Herb Pedersen (banjo, guitar), Billy Ray Latham (banjo, guitar, electric guitar), Ray Parks (fiddle), Paul York (drums), Jeff Gilkinson (bass, cello, harmonica, banjo), Douglas Bounsall (electric guitar, banjo, mandolin, fiddle), Byron Berline (fiddle), Irv Dugan (bass), Bill Bryson (bass), Glen D.
Other members of the band have included Dewey Martin (drums), Herb Pedersen (banjo, guitar), Billy Ray Latham (banjo, guitar, electric guitar), Ray Parks (fiddle), Paul York (drums), Jeff Gilkinson (bass, cello, harmonica, banjo), Douglas Bounsall (electric guitar, banjo, mandolin, fiddle), Byron Berline (fiddle), Irv Dugan (bass), Bill Bryson (bass), Glen D. Hardin (keyboards), Seth Papas (drums), Buddy Blackmon (banjo), Rick McEwen (bass), Ric Williams (drums), Joe Villegas (bass), Eddie Ponder (drums), Pete Grand (banjo, steel guitar), Steve Cooley (banjo, guitar, upright bass),and Richard Godfrey (drums). The Dillards had a recurring role on the American situation comedy The Andy Griffith Show, playing a backwoods bluegrass family, the Darlings, with actor Denver Pyle playing the family patriarch. The show's 30th anniversary briefly reunited the Dillards and led to a renewed interest in the band's music.